Was speaking to a friend who works for a large property owner recently and she said her company uses the chemical Roundup in lieu of weed whackers to handle de-weeding efforts or as a herbicide along their lengths of fence rows, which are pretty substantial. This lady seemed confident that Roundup was an established and safe solution to unsightly weeds growing along fence rows. 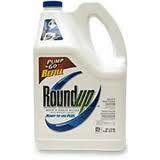 Roundup is a herbicide that is popular in the American agriculture and residential yardcare panorama. But Roundup has been shown to have some negative affects on water borne wildlife and even human beings with extended exposure. For the sake of a fair report on the 2 methods of weed control we will look at the negative affects of using pressed rubber mulch products. Few man made products do not have some risk to the environment. These products are made of used tires that are macerated molded together and painted. 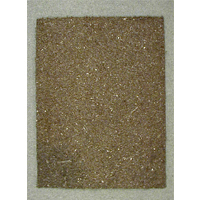 The long lasting affect a dump of tires may have on the soil and groundwater could be attributed to these mats if taken in large amounts. In small amounts we feel the risk is minimal. The paint that the mats are painted with could leach as well over time. I really liked the video. Thanks for sharing it. I am eagerly waiting to see Post and Rail Fence Calgary by First Class Fencing. They make the best designs which are very qualitative.